 Gain valuable insight into lump sum disbursement with real time tracking and reporting, streamlining the process for both you and your employees. 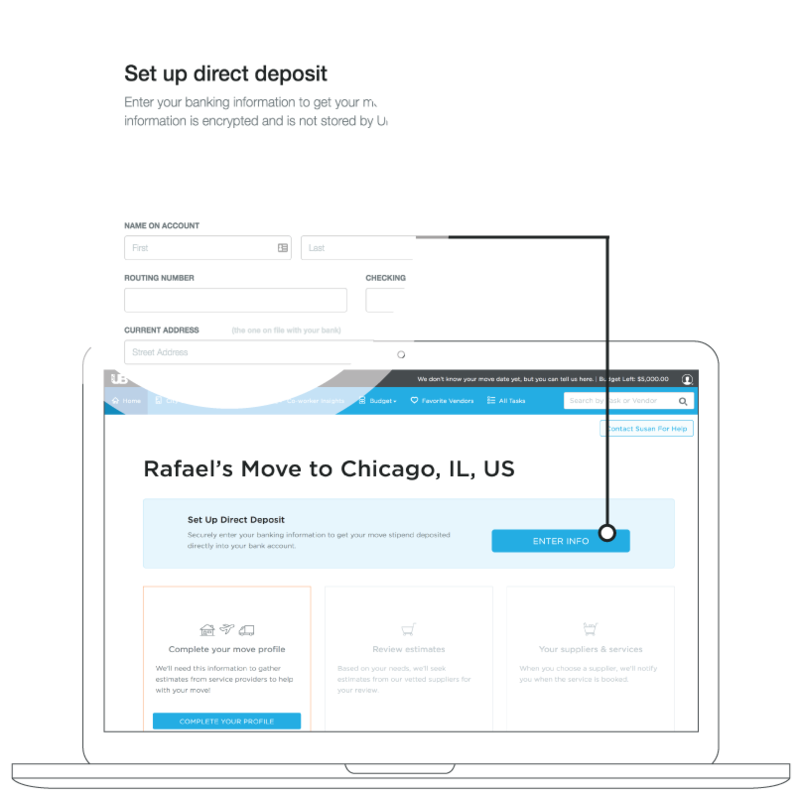 UrbanBound’s lump sum disbursement solution allows you to distribute lump sum ahead of start date, setting your employees up for a successful relocation. Through UrbanBound’s intuitive user experience, Administrators can disburse funds with the click of a button and easily track payment status within the software. UrbanBound delivers lump sum to your employees in a way they're comfortable with—through seamless and intuitive technology. Your employees expect the ability to access money online, and UrbanBound Lump Sum Disbursement accomplishes this easily without compromising security. From the moment you decide to disburse a lump sum, you can be certain our solution is best way to seamlessly transfer funds while ensuring a high touch solution through tech. "Lump Sum Disbursement helped bring the financial component of relocation under one roof. Disbursing the funds is easy, and our employees have immediate access to their money using a process that's intuitive to them." Let us show you how easy relocation can be.